Posted February 8, 2011 7:57 am & filed under Reader Photos. 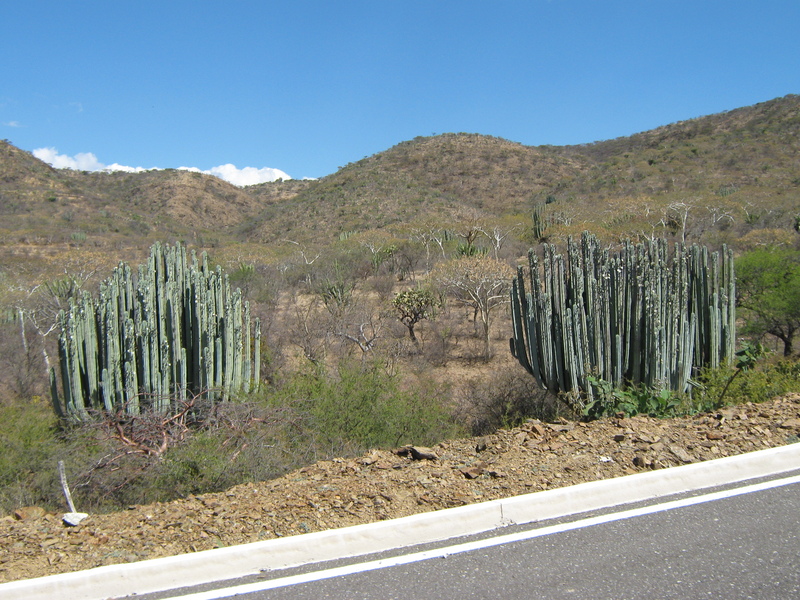 Hi, I’m from Mexico and I wanted to share with you two interesting photos of Pachycereus Weberi from Oaxaca: (1) at the side of the road and (2) from a plantation of pitaya (that is, a fruit of a kind of cactus). This guys are all over around in that land. The specimens in the photo (1) are about 16.4 feet or 5 meters high, and they are considered medium tall. The other specimen (2) is about one third taller of the others, that should be about almost 7 meters tall (22.97 feet), as you can see is as tall than the tree at its side and is considered a big and old “pachy”. I hope you like them. Thanks, Alex! 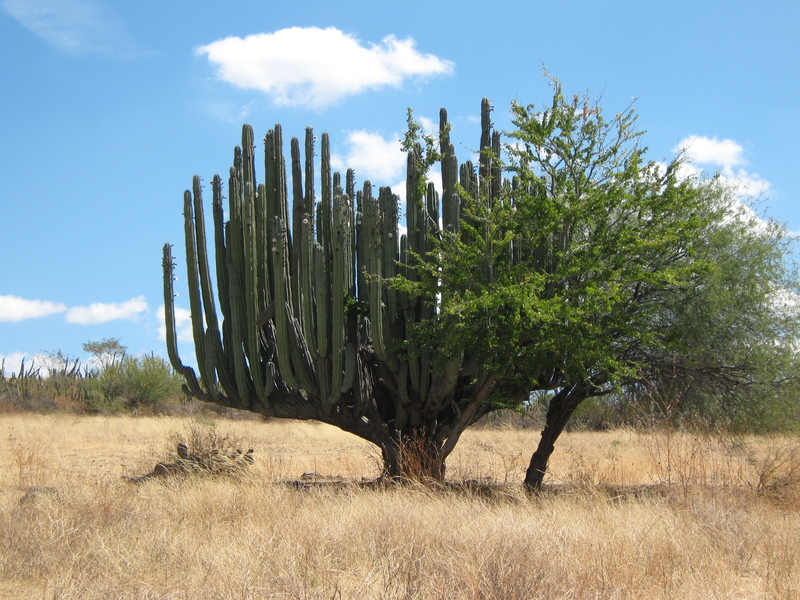 Those are some impressive cacti.